The number of recycling programs in Canada that accept and recycle a wide range of plastic packaging has grown to the largest ever in 10 years, according to the Canadian Plastics Industry Association (CPIA). While access to recycling of plastic beverage containers continues to hold steady at 98 percent or more, CPIA’s report, “2014 Recycling Access Report for Plastic Containers and Packaging”, found that the biggest gains have been realized for non-bottle rigid containers made from a variety of resin types. 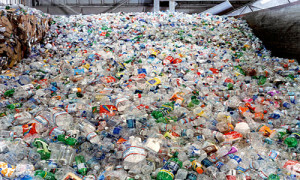 The national rate for access to recycling of plastic non-bottle containers is at least 93% for the most common resin types of polyethylene terephthalate (PET) and high density polyethylene (HDPE) (resin identification codes #1 and #2 respectively). And for non-bottle containers made from other resin types, such as polyvinyl chloride (PVC), low density polyethylene (LDPE) and polypropylene (PP) (#3, #4 and #5 respectively), recycling access rates are greater than 80%. For non-container plastic packaging, there have been steady gains in the national and provincial access rates with more and more municipal recycling programs beginning to include these items in their systems. Of note, the latest access for municipal recycling of retail shopping bags is 67% and horticultural rigid plastics is 74%. “Each year the Canadian plastics industry undertakes proactive outreach and program support to municipalities across Canada in order to increase the amount and types of plastics collected for recycling. Our 2014 study shows that Canadians have even greater opportunities to recycle plastics through their municipal programs than they did last year,” said Carol Hochu, CEO and President, CPIA.